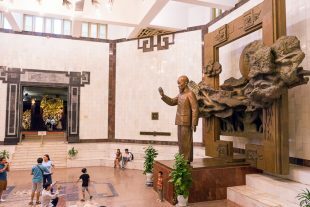 Opened in 1990 on the occasion of his 100th birthday, the Ho Chi Minh Museum in Hanoi is found within the same complex as his mausoleum. 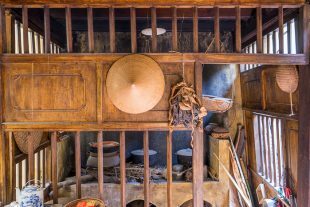 The museum is heavy on symbolism and does an excellent job introducing and celebrating Vietnam’s most famous historical figure. 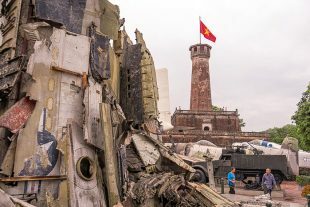 Found within the same complex as the Citadel, the Military History Museum is spread across a couple buildings, and includes the famous Flag Tower of Hanoi. 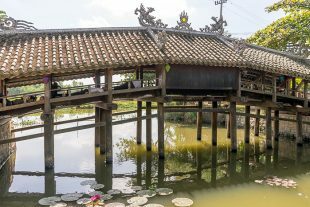 Vietnam’s premiere art museum is housed inside a beautiful colonial-era building near the Temple of Literature in Hanoi. 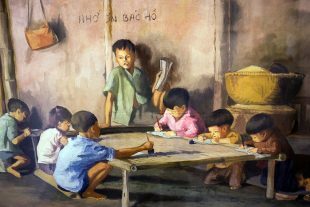 The three floors of the Museum of Fine Arts take visitors on a journey through the country’s artistic history, with a special focus on lacquer painting and war-time themes. 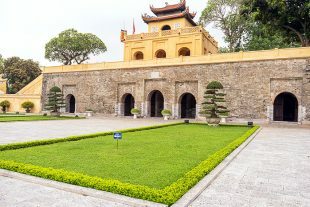 Established by the Lý Dynasty in the 11th century, and used as a command base throughout the American War of the 1970s, the Citadel of Hanoi was the seat of Vietnamese power for nearly a thousand years. Visiting the citadel provides glimpses into various periods of the country’s complex history. 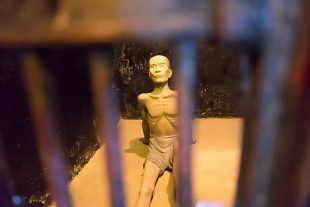 Ironically referred to as the “Hanoi Hilton” by its American guests, the Hỏa Lò Prison complex is located in the center of Vietnam’s capital. Today, the prison has been mostly demolished, though the guard house has been left intact and converted into a museum. Nothing in the arsenal of the American military was as deadly to the people of Hanoi as the B-52. During one operation, charmingly nicknamed the “Christmas Bombings”, 15,000 tons were dropped on the city, resulting in the deaths of 1624 civilians. 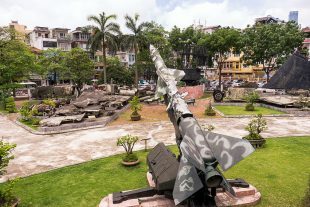 But Hanoi was not without its defenses. Today, the B-52 Victory Museum celebrates the Vietnamese skill at shooting the hated American planes out of the sky. 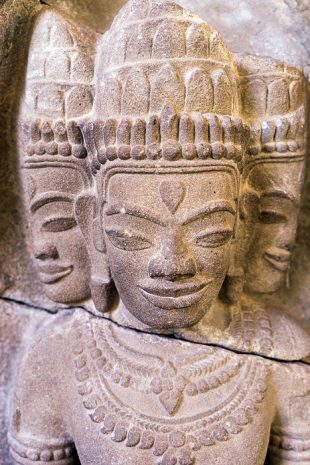 The world’s greatest collection of art from the ancient Kingdom of Champa is found in Danang’s Museum of Cham Sculpture. 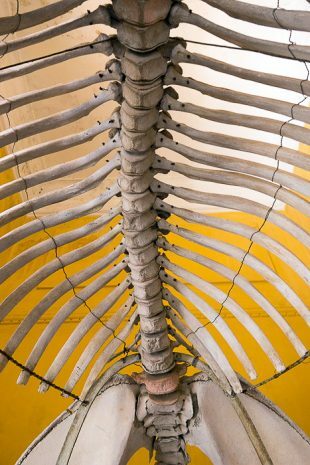 Dating from 1915, this museum is small but well-organized, with sandstone sculptures that provide a fascinating look into the history of Central Vietnam.